A protracted crisis at the Lagos State University over fee hikes that have outraged students and their parents and also led to protests has reached resolution point with Governor Babatunde Raji Fashola of Lagos State now proposing a reduction of the tuition to accommodate everybody. Fashola made the proposal during a meeting with the protesting students. The students, under the auspices of the Education Rights Campaign (ERC), are demanding reversal of the hiked fee. They have staged several rallies and protests to press their case. After a fruitfuf deliberation, Fashola agreed to reduce the hiked fee. He teased the students and members of the ERC to consult among themselves and propose an acceptable reduction in other to carry all along. One of the protester claimed that, following the controversial hike, the school has continually had a low number of choice applications from candidates in the annual Unified Tertiary Examinations. Report has it that, this year, no disciplinary faculty in the institution has up to 500 students. “This year, for example, there are only 15 students in the Faculty of Law,” the source said. 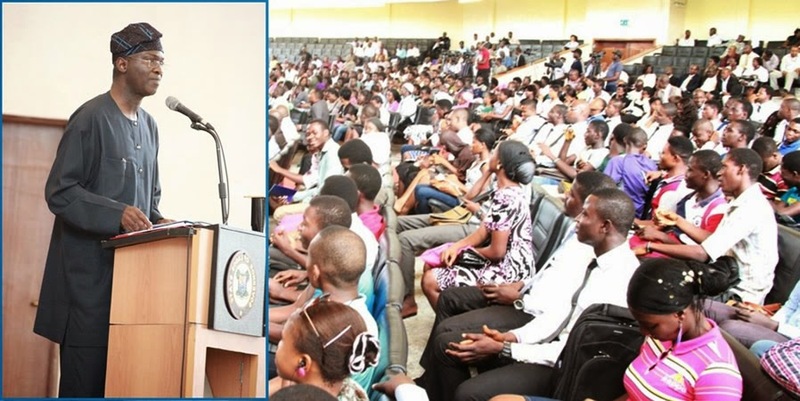 He added that the institution may be considering the option of merging departments and laying off some of the lecturers due to the unfortunate decline in the number of students wishing to enroll at the university. The government is ready to make sacrifices, considering that Lagos is a big metropolis with large population.